When you decide to spin off a franchise, shouldn’t the original qualify as a genuine hit? With a gross just barely past the $100 million mark, 2003’s Daredevil didn’t exactly light a lot of fires. So why’d Fox decide to focus on a supporting character for 2005’s Elektra? I guess hope springs eternal, though the horrible $40 million gross for 2004’s Catwoman must have given the folks at Fox some chills. At the start of Elektra, we learn about a mystical order called The Hand, a group with both good and evil sides. Their prophecies predict a female warrior who will act as the final weapon in an ancient war. The Hand wants to do away with “the Treasure” so no one else can take advantage of her powers, and they send folks to get rid of her. We meet Elektra (Jennifer Garner), a paid assassin who drives herself very hard. Her agent McCabe (Colin Cunningham) gets her jobs but she otherwise has little contact with the outside world. This starts to change when Elektra takes on a new assignment and lands on an island in the Pacific Northwest. She meets somewhat wild 13-year-old Abby (Kirsten Prout) and her single dad Mark (Goran Visnjic). Against her better judgment, she starts to warm to them, and that complicates matters when she finds out they’re her assassination assignment. This means that Elektra backs out of the job, but that doesn’t get Abby and Mark out of the woods. Others come after them, and Elektra starts to act as their protector. This leads to even tougher foes, as the Hand sends out a group of super-powered ultimate bad-asses to take down the whole lot of them. The rest of the movie follows their battles as well as various twists. Unfortunately, Garner seems overwhelmed by the burden of stretching Elektra to the leading character in a full movie, and her bland performance reflects that. Or maybe she just didn’t know how to overcome the lackluster script, but whatever the case, Garner seems badly miscast for the role as featured in this movie. How can I see her as so good in Daredevil and so bad here when she plays the same part? Simple - this isn’t the same Elektra. The character in Daredevil more closely approximated a real person, as she had range and demonstrated various personality facets. On the other hand, Elektra’s lead mostly comes across as dour; though the movie occasionally allows her a little depth, Garner usually looks either sad or mad. She doesn’t handle the quiet intensity required, and she also just appears nervous when she should be determined. Garner looks the part well enough for the battle sequences, but unfortunately, technology undermines her there. Elektra makes liberal use of CG for all its baddies and fights. Those range from simply unconvincing to wholly dreadful, and they genuinely distract from the action. At times it almost feels like you can literally see the wires that support the actors, and the visual effects look fake. Those problems rob the fights of any potential power and they keep us distanced from the story. I think Elektra theoretically could have been a decent movie, and I felt the same about Catwoman. Unfortunately, both falter in too many different ways to ever succeed. Elektra lacks the giddy campiness of Catwoman, which may actually be a negative. At least the latter let us laugh at it, while Elektra never opens up to easy mockery. It’s just a mess. 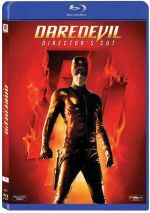 Note that this Blu-ray presents a slightly extended “Director’s Cut” of Elektra. How does it differ from the theatrical version? Not by a whole lot. The DC runs only three minutes longer and simply pads out a few elements. It extends a few shots removed for pacing and also adds a smidgen of bits dropped for ratings issues. This doesn’t make it graphic, though, so don’t expect something along the lines of the more distinctive Daredevil Director’s Cut. None of the changes improve the movie, as it remains tedious and flawed. Elektra appears in an aspect ratio of approximately 2.35:1 on this Blu-ray Disc. The image seemed more than satisfactory. Across the board, sharpness looked very good. A smidgen of softness appeared in some wide elements, but the movie usually came across as concise and distinctive. Jagged edges and shimmering created no concerns, and I also noticed only a smidgen of edge enhancement. No source flaws ever appeared, as the movie lacked marks, specks, debris or distractions of any kind. Just like every other flick that tries to be hip and edgy, Elektra featured a highly stylized palette. Most of the time the movie went with a yellow-orange tone, all the better to make Elektra’s signature reds more prominent. Within the confines of the visual design, the colors looked solid, as I noticed no bleeding, noise or other concerns. Blacks seemed dynamic and rich, while low-light shots demonstrated fine delineation and clarity. Nothing much interfered with the picture here, as the movie always looked solid. Big comic book movies usually come with big action soundtracks, and that was often the case with the DTS-HD MA 5.1 mix of Elektra. The flick lacked the consistent assault of something like Daredevil, but it used the various channels to good effect. Music showed nice stereo imaging, and the effects cropped up from various locations with good delineation and blending. Quieter scenes demonstrated a fine sense of atmosphere, and the louder ones kicked the action into higher gear. The movie didn’t present many real standout scenes, but it balanced the five channels with good involvement and activity. 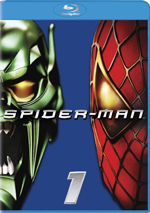 How does the Blu-ray compare to the Director’s Cut DVD? Audio was smoother and more robust, while visuals looked tighter and more dynamic, This became a good step up in quality. The Blu-ray includes most of the DVD’s extras, and we open with an audio commentary from director Rob Bowman and editor Kevin Stitt. Both sit together for their running, screen-specific chat. Though Bowman heavily dominates, Stitt’s presence affects the content, as we hear a lot about editing choices and scene construction. In addition, we learn what restorations they made for the Director’s Cut, issues related to the actors such as Garner’s availability, problems with the short production schedule, stunts and action, themes and story topics, music, visual effects, and reactions to the movie’s critics. After this we go to a two-part documentary called Relentless: The Making of Elektra. Taken together, the two segments fill two hours, 20 minutes and 23 second. We find notes from Bowman, Stitt, producer Gary Foster, writers Stuart J. Zicherman and Raven Metzner, producer/Marvel CEO Avi Arad, cinematographer Bill Roe, special effects department Andre Dominguez, special effects supervisor Richard Hoover, first assistant editor Mary Morrisey, second assistant editor Brian Addie, sound designer/co-supervising sound editor Craig Berkey, visual effects supervisor Dan Deleeuw, lighter Gaelle Morand, visual effects compositor Jeremy Nelligan, animators Ryan Donaghue and James Kinnings, animation supervisor Lyndon Barrois. composer Christophe Beck, digital intermediate colorist Skip Kimball, and actors Terence Stamp, Jennifer Garner, Goran Visnjic, Kirsten Prout, and Will Yun Lee. That said, I don’t think “Relentless” qualifies as one of the great documentaries. It leaves no stones unturned, but it fails to ever become terribly engaging. It’s tempting to think this is the case because I don’t like the movie, and that may be a minor factor; certainly I’d be more involved in a show about a film I enjoy. However, I’ve had fun with plenty of bonus features for flicks I disliked, so that doesn’t explain it. Three Deleted Scenes last a total of five minutes, 12 seconds. We see “Sai Approach”, “’Come Back to Me’”, and “Rounding Up the Troops”. “’Come Back to Me’” unquestionably acts as the most interesting clip since it includes a cameo from Ben Affleck; it’s good to see some acknowledgement of Elektra’s cinematic past. Otherwise, these scenes offer minor embellishments and little more. The package continues with six Alternate/Extended Scenes. This area adds “Alternate Opening”, “Young Elektra Throws Coin Into Wishing Well”, “Young Elektra Buries Sais”, “Sais Out of the Ground”, “Alternate Elektra and Abby”, and “Go Game”. Taken together, these fill 13 minutes, 41 seconds. Most of these seem like filler to me. We get a little more related to young Elektra, and both the “Alternate Opening” and “Go Game” – which are connected - offer an interesting potential path, but nothing here seems particularly memorable. Elektra: Incarnations gives us a 52-minute, 49-second program looks at the evolution of the comic book Elektra. It includes remarks from artist/writer/Elektra creator Frank Miller, inker Klaus Janson, artist Bill Sienkiewicz, and writers Brian Michael Bendis and Greg Rucka. We learn about Miller’s start with Daredevil and his creation/development of Elektra, what others brought to the character and her further explorations, facets of the artwork, and various takes on her. In addition to two trailers, we get the 15-minute, 26-second Elektra in Greek Mythology. It presents comments from Loyola Marymount University Professor of Greek Studies Dr. Katerina Zacharia. She covers exactly what the title indicates, as she runs through all sorts of historical precursors to the comics character. This turns into little more than “talking head” shots as Zacharia chats, but since she’s gorgeous, I won’t complain. Zacharia provides a concise discussion of the subject and gives us good background information. A disappointing effort, Elektra suffers from too much blandness and not enough clarity. From its lead actor on down, the movie sputters. The Blu-ray offers very good picture and audio along with an excellent set of supplements. This becomes a terrific release for a boring film.